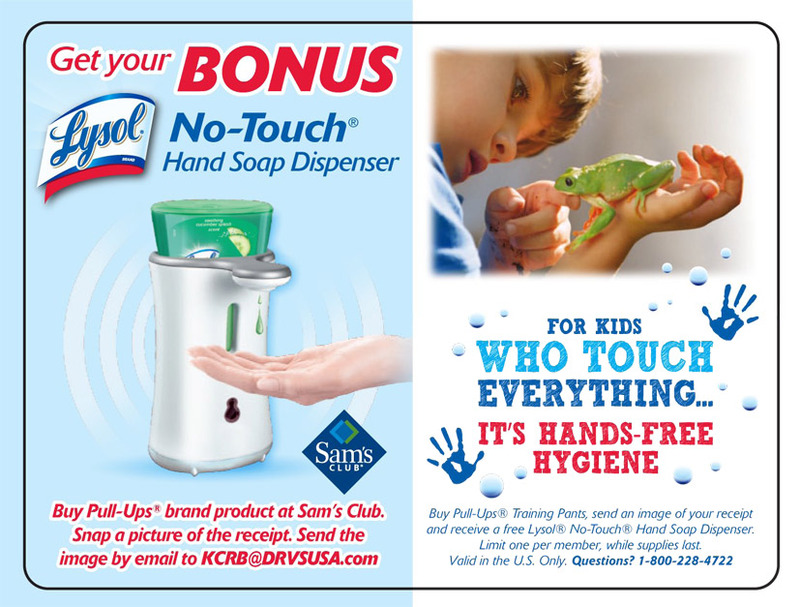 Consumers who purchase Pull-Ups brand diapers at Sam’s Club stores nationwide between 7/15-8/27/13 qualify to receive a free Lysol No-Touch Hand Soap Dispenser. TPG validates the purchase upon the photo submission of the Sams Club receipt via its patent pending DRVS validation platform. To participate consumers must email a valid image of their Sam’s Club receipt to kcrb@drvsusa.com by 11:59 PM EST 9/7/13. The free Lysol No-Touch Hand Soap Dispenser is then mailed to qualified respondents.